Robert Miller Cornett was born to Nora (Huff) and Henry Miller Cornett, in their Sears model home in Hazard, Kentucky on November 11, 1929. He died peacefully in his home in Georgetown, Kentucky, on April 11, 2019. He was 89. He was a graduate of Berea College, where he met his wife of 64 years Jean (Carrithers) Cornett, and went on to have 6 sons, 17 grandchildren, and 15 great grandchildren. Bob was named Budget Director for the State of Kentucky under Governor Bert Combs at the age of 29, and served through the tenure of Governor Edward Breathitt. He went on to serve as director of both the Area Development for the Appalachian Regional Commission, Special Projects for the Council of State Governments in Lexington, and as a Consultant in the Public Service Administration. 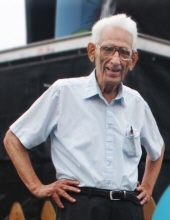 Despite many years working in government, Bob was most proud of founding, in partnership with Jean, The Festival of the Bluegrass in Lexington, Kentucky in 1974, and the Kentucky Bluegrass Music Camp. The “Kids Camp” was designed to encourage kids and adults to work together to learn not only the fundamentals of Bluegrass Music, but the very basics of what it means to be part of a community. He was also a co-founder of the Spirit of the Suwannee Music Park and Campground in Live Oak, Florida. The vision of both of these ventures endure thanks to the involvement of his kids and grandkids, for which he was most pleased. Bob spent the last 40 years of his life as a “retired bureaucrat”, and spent decades advocating against the top-down approach of governments, educational institutions, and adults in general. A comprehensive list of Bob’s volunteer work and community impact is impossible, but he was dedicated to organizations including, but not limited to: Old Friends Farm, Quest Farm, The American Chestnut Foundation, the Georgetown Childhood Development Center, and The Kettering Foundation. Bob was quiet and proud with an infectious passion for life and considered himself to be “no better than average”. He delighted at the site of farm animals (particularly chickens, mules, and donkeys), homegrown fruits and vegetables, groups of people having conversations, and long walks - particularly when these activities involved multiple generations. He will be remembered as kind, generous, proud, gracious, passionate, active, and for carrying an unfailing belief that the world will be a better place if we all joined together for a common purpose and worked toward improving our world. Bob is survived by his sisters Elna Mae Rosenberger, Hope Richards, Nancy Jo Cornett, and brother John (Charlene) Cornett, sons Roy, Robert (Linda), John (Barb), James (Robin), Charles (Vicki), and daughter in law, Patty, as well as many grandchildren and great grandchildren. He is preceded in death by his parents, Miller and Nora, his wife, Jean, and his son, Hugh. To send flowers or a remembrance gift to the family of Robert Miller Cornett, please visit our Tribute Store. "Email Address" would like to share the life celebration of Robert Miller Cornett. Click on the "link" to go to share a favorite memory or leave a condolence message for the family.